Institute of Civil Defense of the Lviv State University of Life Safety, established in August 2010, is today one of the most productive and advanced in many areas of university life. The Institute is headed by a PhD, Associate Professor, Colonel of Civil Defense Service Andriy Renkas. PhD, Associate Professor, Colonel of Civil Defense Service Olha Menshykova is a Deputy Head of the Institute for teaching and research, and major of Civil Defense Mykhailo Trachuk is a Deputy Head of the Institute for educational and psychological work. Organization of educational process in the institute is carried out in 11 specialized classrooms and 5 laboratories (computer graphics, telecommunication systems, computer modeling, fire and rescue equipment and environmental safety). 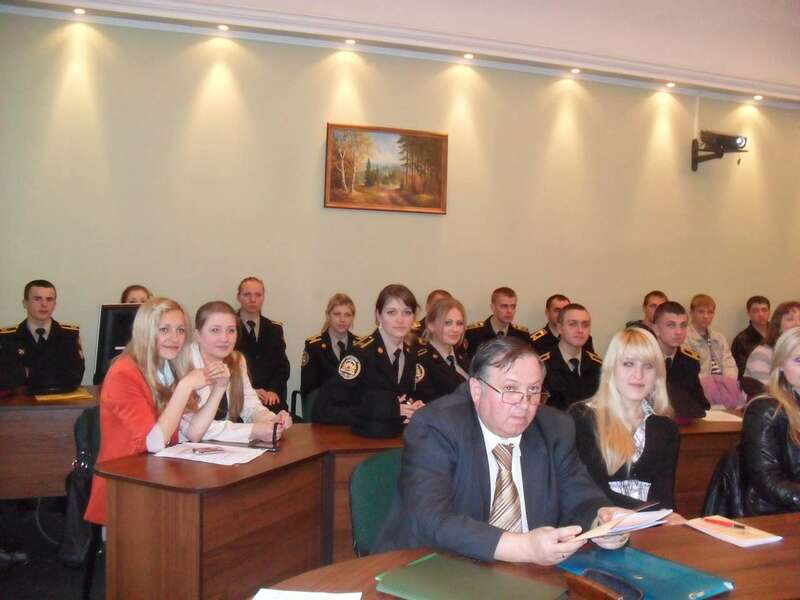 Practical exercises are conducted on the basis of educational-industrial complex, transport companies, departments of the State Emergencies Service of Ukraine in Lviv Region, facilities and other universities of Lviv. During workshops and practical training cadets and students study and utilize fire and rescue equipment, and special machinery. The educational process at the Departments of the Institute is provided by 74 teaching staff, including 8 Doctors of Sciences, Professors (A.Kuzyk, V. Kucheriaviy, Ye. Martyn, V. Samotiy, O. Sydorchuk, Yu. Starodub, S. Stoiko, O. Zachko) and 38 Doctors of Philosophy, Associate Professors. Department of applied mathematics and mechanics. simulation of dangerous environmental and geophysical processes. Departments of the Institute successfully run scientific societies for cadets and students. The members of scientific societies participate in various competitions and conferences both at our university and other educational institutions in Ukraine and abroad. The Institute of Civil Defense currently provides training for more than 400 cadets and students.